Home / Latest News / Is Your Business Meeting NMI Standards? Is Your Business Meeting NMI Standards? You may not know it yet, but your scales could be tipping your business’ fortunes out of favour. For fruit and vegetable packers, scales are one of the most important pieces of working equipment. 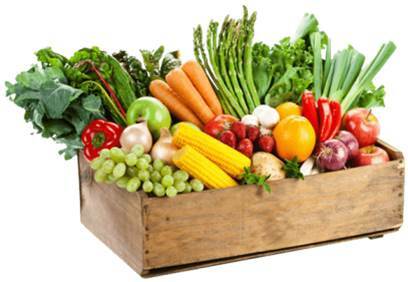 Each year in Australia, fruit and vegetables are moved from farm gate to consumers via millions of measurement-based transactions, with around five million tonnes of produce bought and sold per annum. This makes having a quality set of trade approved scales absolutely vital. Unfortunately, fruit and veg packers often don’t realise they’re using unreliable scales until the damage is already done. 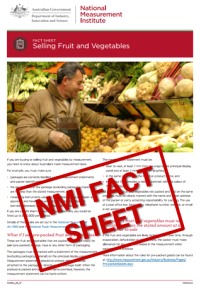 The NMI is Australia’s peak measurement body responsible for biological, chemical, legal, physical and trade measurement, including the measurement of fruit and veg. Businesses caught with faulty scales can face severe fines and even prosecution. Over-packing a punnet of strawberries by five to 10 grams doesn’t seem like much. But when you multiply these transactions over days, months and years, the costs start to add up! Having accurate scales guarantees a fair price for you and your customers. Not only that, customers who trust your measurements and prices are much more likely to keep coming back for more. Fortunately A&D Weighing is here to help. By purchasing your scales from A&D Weighing, you’ll get peace of mind that your business is equipped with the best-in-industry scales. We supply a huge range of trade approved scales, and our proven record of success in supplying scales to some of the biggest names in the food and produce industry is testament to the quality and precision of our products. For reliable scales that save your team time and money, get in touch today.